As the icy airflow from Siberia they're calling the 'Beast from the East' sinks its fangs into London, we ask the question that's on everybody's chapped lips: where shall we go sledging? 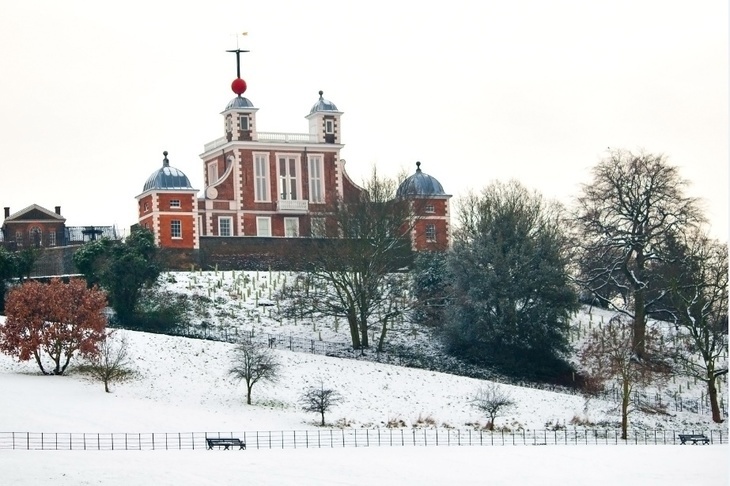 We've rounded up the best hill-runs London has to offer, so grab your custom-tooled toboggan or rip out an estate agent's To Let sign and get the heck out there before the glorious white powder turns to brown slush. 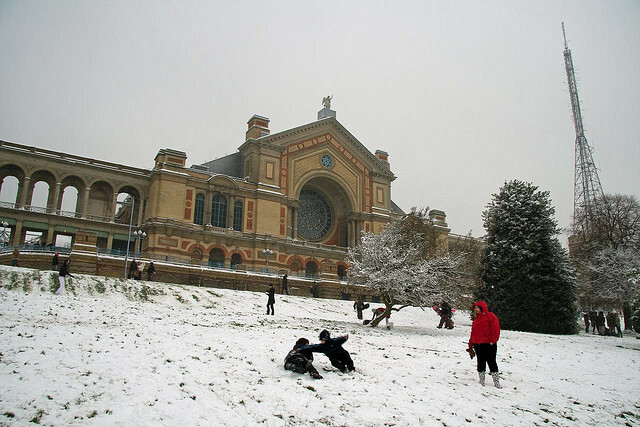 Ally Pally in the snow (a few years ago). Photo by Will from the Londonist Flickr pool. Go for the incredible views and delightfully sharp slope with gently extending apron. You'll also probably see a few slebs on their monogrammed tobogganettes — so please try to push them over as they clamber back up the hill. Glide down past what's left of Charles II's Giant Steps from the Observatory toward the Queen's House, dodging the preternaturally large dogs that always seem to be galloping around the park. There are plenty of rogue trees on this otherwise lovely lilting slope, so crash helmets are recommended. Jump on a paella pan, close your eyes and pray. This popular kiting spot made famous in Mary Poppins is also a good if slightly lumpy sledging run. With two very different slopes available here, this is a hill for true connoisseurs. There's a short, sharp sprinter's hill and a languorous, beautifully bumpy run that ends in a dense thicket, so you feel like you're in the Goonies as you career under the branches at the end. The views of the frozen reservoirs are also strangely magical. There are a few good spots around this area in the shadow of the old BBC aerial. This popular spot near Brixton has it all: a wide brim and speedy dip — those who know go to the area in front of the café. Judging from the YouTube clips we've studied, this man-made mound has a clean line for smooth shuttling (and yes, we are making these terms up). Any other ideas for cracking sledging spots? Please tell us in the comments below.